NOVA PHOTOS FROM 1982: Below are some images taken in April 1982 of Radio Nova in Dublin, during a visit from the Anoraks UK team. 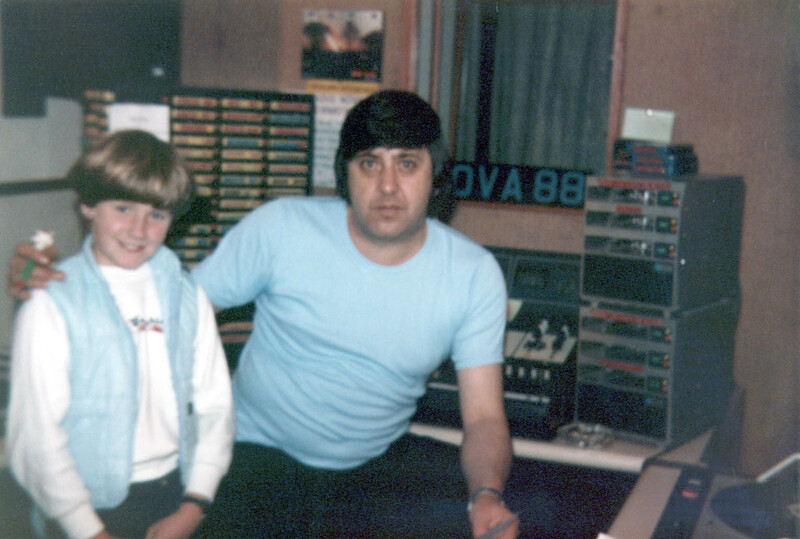 A very young Paula Johnston of AUK, with the late Daffy Don Allen in the Nova studio, during April 1982. Don of course was well known for his country and western jamboree on Radio Caroline North, and Radio Northsea. 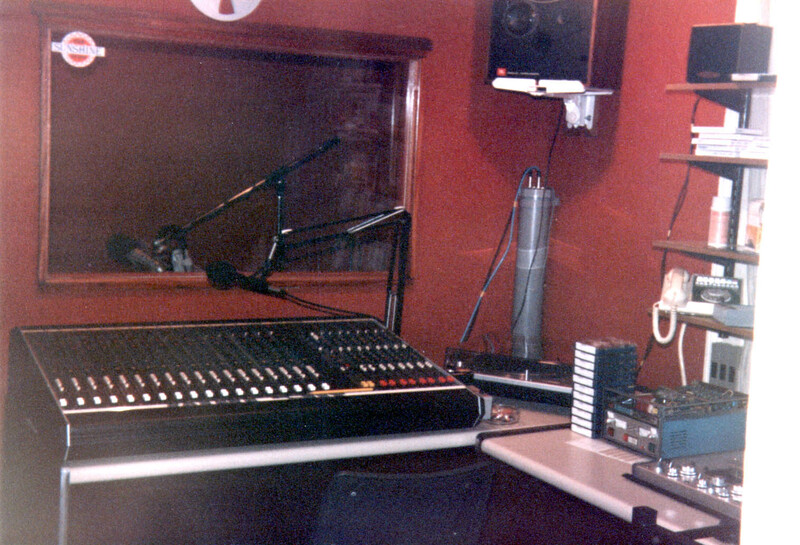 He perhaps was less at home with the music scene in Dublin, and eventually drifted across the country to amongst others Royal County Radio, Radio West, Erneside Radio, Roscommon Radio, as well as Radio Star Country. 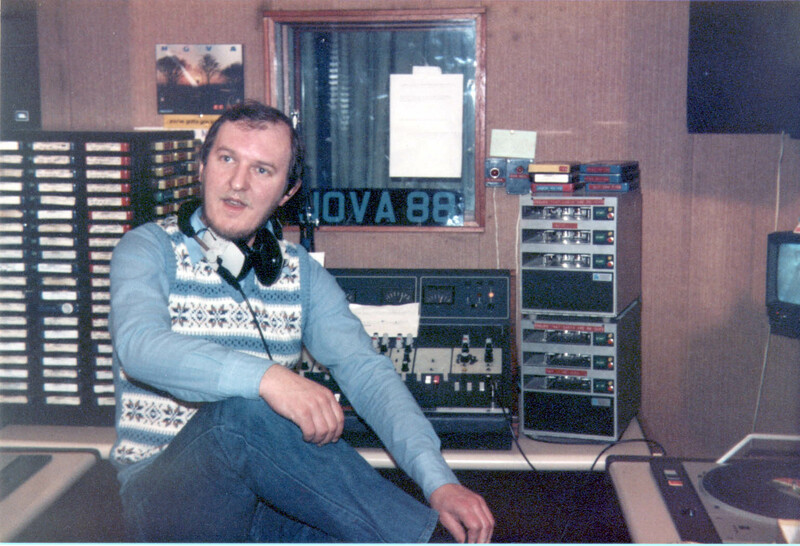 Don was heard regularly on SW / MW on the Radio West anorak show, although his actual "current" radio knowledge sometimes seemed a little less than some of us enthusiasts, who lived for the Irish pirate radio scene in those days. 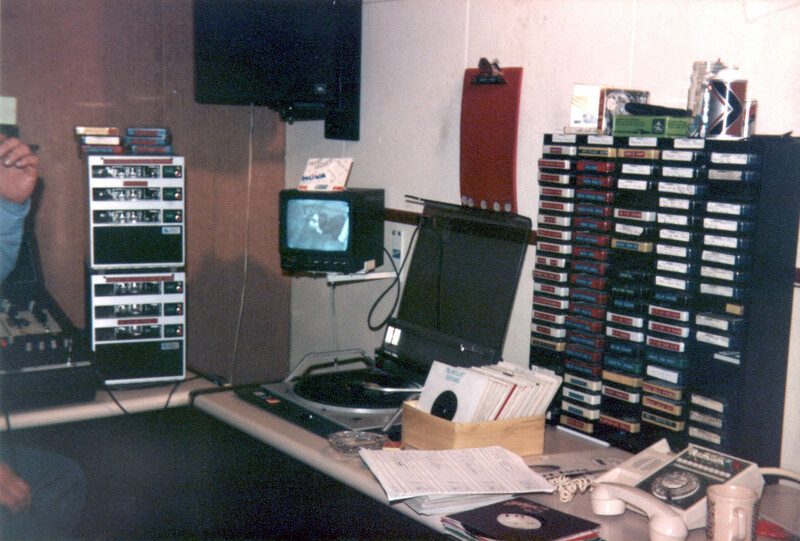 This was often the case with the people who worked on the radio. 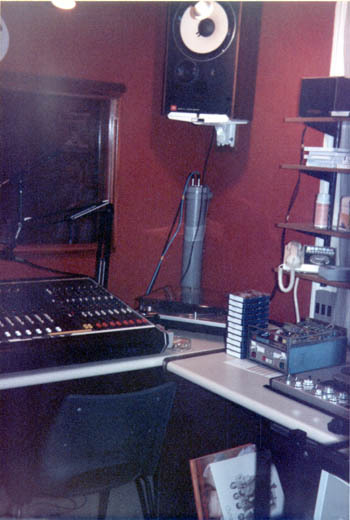 We were the ones that could rattle off frequencies, and presenters names and timeslots. Jason Mayne on Radio Nova April 82, and right, the other half of the main studio. 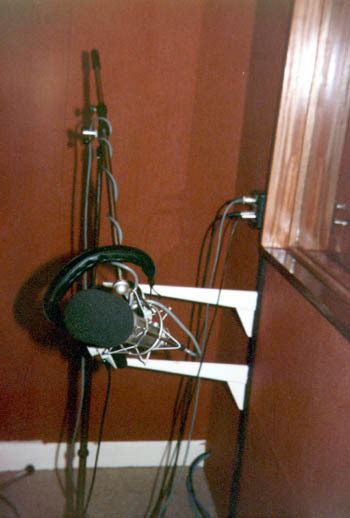 You can just see Jason's arm. 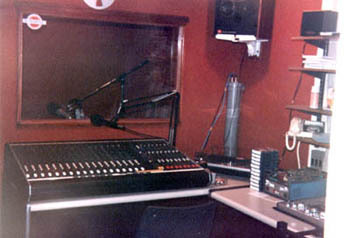 The image on the above right is the left hand side of the studio. 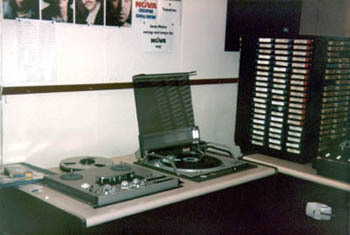 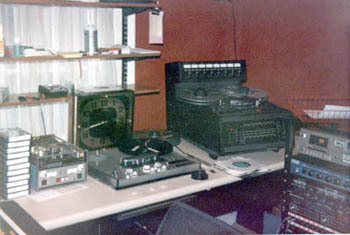 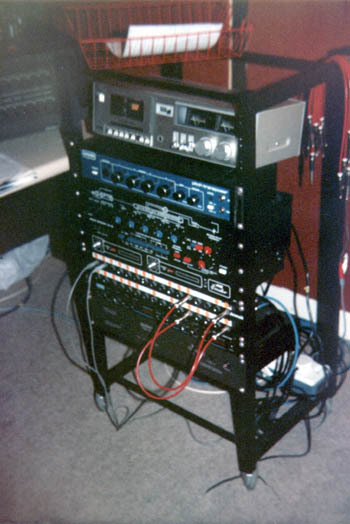 Nova production studio April 1982, and a few other images below of the equipment.